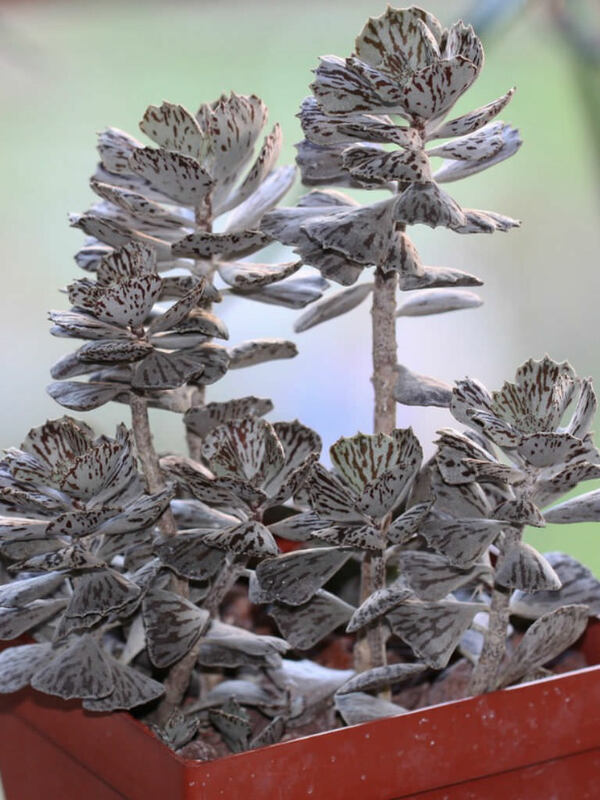 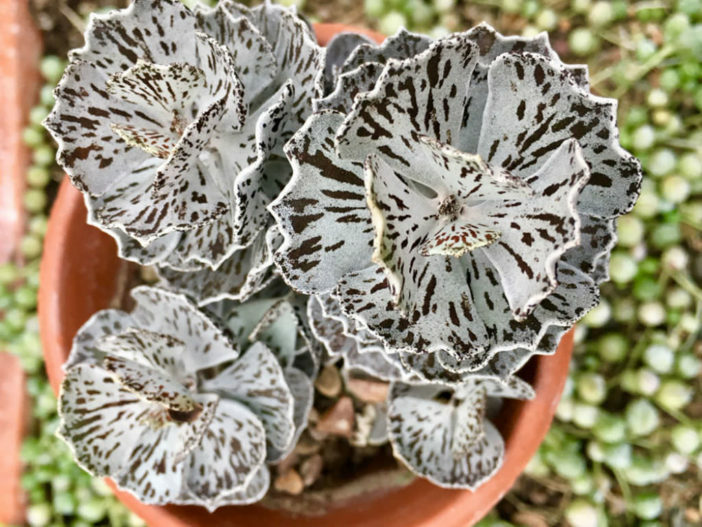 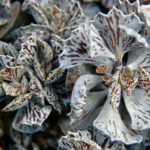 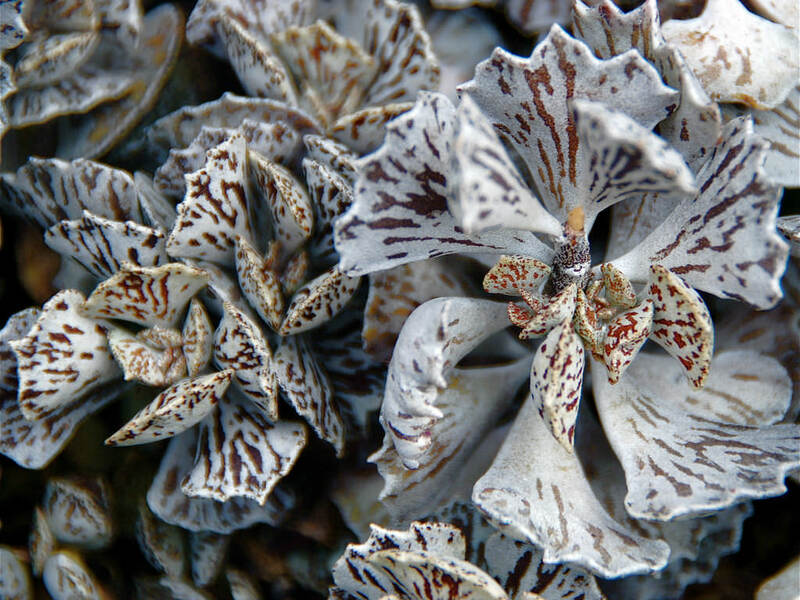 Kalanchoe rhombopilosa is a few branched, perennial, succulent shrublet, up to 12 inches (30 cm) tall, with small, up to 1.2 inches (3 cm) long, slightly woolly, silver-green leaves with brown markings on sprawling, woody branches. 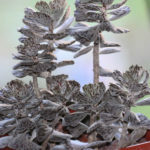 The stems are thin, up to 0.3 inch (8 mm) in diameter, rigid, woody, upright or sprawling and with long hairs. 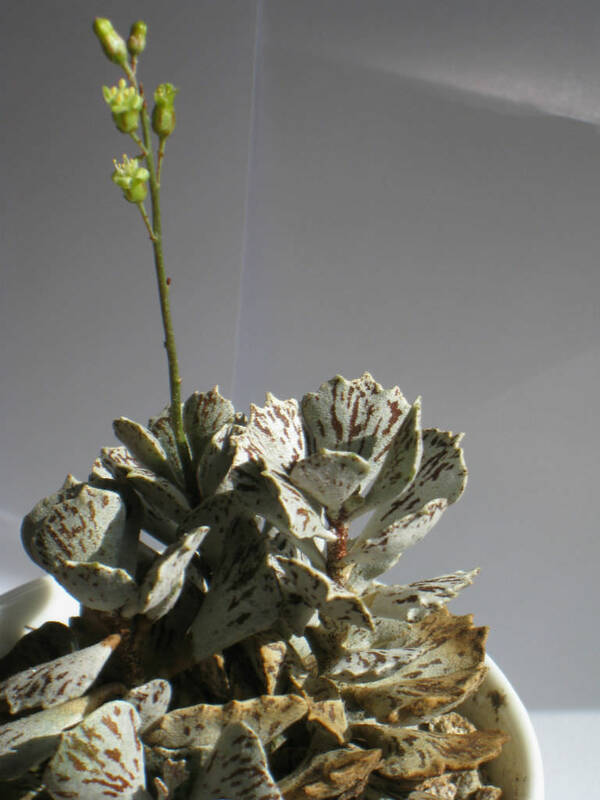 The cruciform flowers are small and greenish yellow to pink with purple lines. 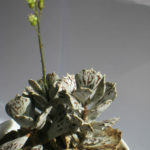 Kalanchoe rhombopilosa is native to Madagascar.